It is possible to erase up to 4 HDD / SSD at the same time. 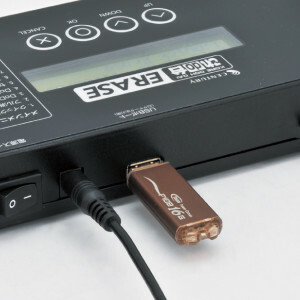 IDE HDD connection is also possible with dedicated adapter. 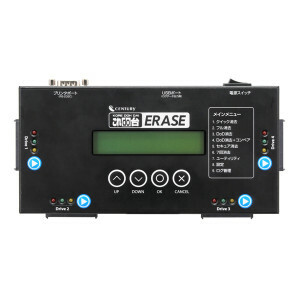 HDD / SSD is exchanged from the order in which erasing is completed, and asynchronous erase function which can erase newly is installed.Five types of erase algorithms are installed. 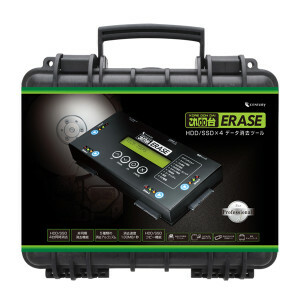 The erasing method can be selected according to the application. HDD copy function installed. It is possible to copy one HDD data to up to three HDDs simultaneously. 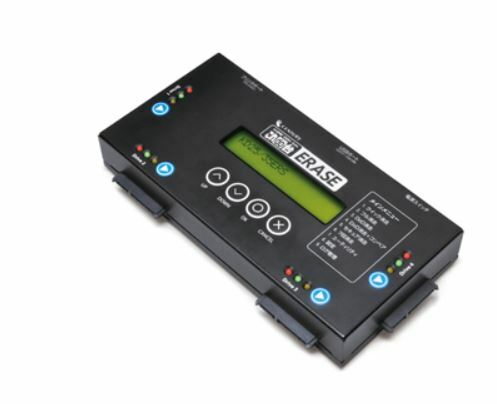 Data delete contents can be printed with the attached dedicated printer . It is also possible to output text data of work log to USB memory. Dedicated carrying case with waterproof / dustproof specification is included, which can contain the main body and all accessories. 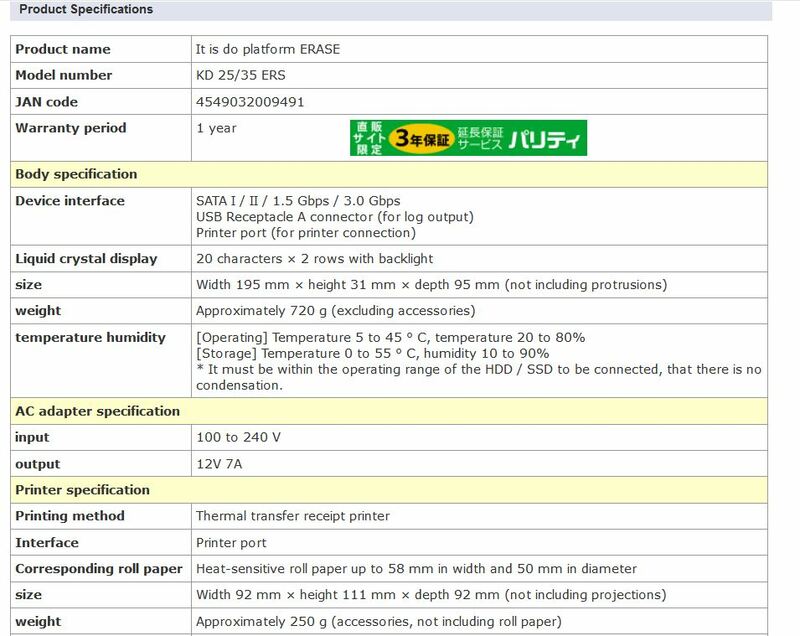 This product is compatible with SATA 6 Gbps HDD / SSD, but the internal transfer speed is up to 130 MB / sec. 2.5 “HDD and 3.5” HDD can not be connected at the same time.